I recently purchased and tried out a variety of products from Hedron Life Source, and wanted to take the time to talk about what I know about the products and give a full review. 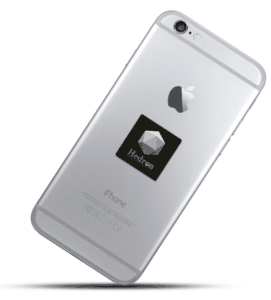 Hedron makes a variety of products, but I would say they are best known for their body shield and cell phone stickers. They also have pendants, large electronic harmonizers, whole house harmonizers, blue light blocking glasses, and more. We’ll take time to talk about all of these products a bit, but we’ll start by talking a bit about the company. After that, I’ll talk about those most popular products (and the ones I’ve actually tried out myself). First, let’s talk about the company for a minute. 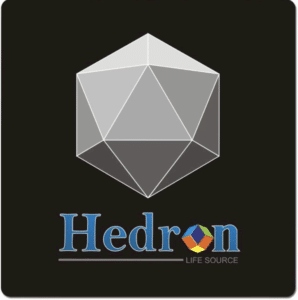 Hedron Life Source – Who Are They? According to their website, Hedron has been working in the field of wellness education for 15 years. The company is made up of Doctors, Natural health practitioners, geophysicists, and other employees. They not only develop a wide variety of products to help protect against the dangers of EMF radiation, but it also appears that they spend a good amount of time researching their products and others. Their research ultimately culminated in products like the Hedron EMF shield, the Hedron Body Shield, as well as other products. The company was founded by Dr. Ida Allen, DC and Dr. Jerod Bergman, DC. Together they had already been working on bringing holistic health solutions to their patients. They recognized a need for proven products that would help their patients stay healthy in a world of growing electrosmog. They still produce new content around the dangers of EMF radiation, and it appears they are still working to continue developing and improving their already substantial line of products. Alright, now that we know a little bit about the company, let’s talk about the general idea behind their products. How Do Hedron Life Source Products Work? Each one works a little bit differently, but they are all based on the same ideas. They use a blend of specific earth minerals, that they say work to harmonize the EMF radiation from mobile phones, smart meters, tablets, and other technology. These minerals in combination with scalar technology and the Schumann resonance serve to protect people from the EMF radiation around them, without affecting the usefulness of their devices. Here is a video from their website that talks a little bit about how their products work to protect you. For an even better understanding of how their products work, take a look at this flyer from their company, it breaks it down pretty well. Have Hedron Life Source Products Been Tested? One of the problems with products like these for the average consumer is that it’s hard for us to test them ourselves. I personally have nearly a dozen different EMF meters in my office, but none of them help when testing a product like this one. The problem is that it doesn’t actually lower the measurable EMF radiation, instead, it harmonizes it, and helps to protect the body from it. So although a quality EMF meter is an invaluable tool in your journey to protect yourself from EMF radiation, it won’t help in measuring a product like this one. Instead, we need to rely on the fairly large amount of independent testing that has been completed with the Hedon line of products. However, they also have a wealth of other studies that you can check out on this page. I don’t want to go into each one in depth, it would make this article much too long. However, if you’re interested in reading the details of how their products have been tested, be sure to check out their website. Alright, enough is enough, let’s get to the actual product reviews! Before I go into the individual reviews, I just want to mention a few things. First of all, I was not gifted any of these products, and have no affiliation with the company, so my thoughts are entirely my own. I also want to mention that I have only personally used the cell phone protector, and the Hedron Body Shield. The rest of the product reviews I am basing off of my research and understanding of the product. To me, this is one of Hedron’s more interesting products. In the realm of EMF protection products, wearables are becoming increasingly popular. People are drawn to the simplicity and ease of mind that wearable products bring. Whether that is an EMF protection pendant, or bracelet, or anything else. The company claims that the shield protects the wearer from EMF radiation from a variety of devices, including WiFi, cell phones, laptops, TVs and other household appliances. It also protects against cell phone towers and power lines. It also says that it helps to protect the body from Harmful Geopathic Stress Zones. It accomplishes these things with it’s “Earth Resonance of 7.83Hz” as well as their patented infusion of a proprietary crystalline matrix that helps to turn detrimental frequencies into harmonizing frequencies that the body recognizes and benefits from. The product also contains Shungite (which I’ve written about extensively). Shungite is an ancient stone found in the Karelian region of Russia known to contain fullerenes. Alright, now that I’ve talked a bit about what the company says about the product, let’s talk a little bit about my experience. I kept the Hedron Body Shield in my pocket for about a week. I just put it in my pocket in the morning and left it there all day. Now, I am not particularly EMF sensitive, so I didn’t feel an enormous difference. However, my wife, who is a bit more EHS, did feel a difference. The product itself is quite small, so you really need to be careful not to lose it, or forget to take it out of your pocket or purse. I certainly found it simple to use, since there is nothing that really needed to be done on my part. I’ve read through dozens of reviews both on the companies website, as well as on Amazon, and there certainly seems to be no shortage of people who feel a dramatic difference with the product. Overall it seemed like a simple product that is extremely easy to use. There isn’t a ton of different information about the Hedron Cell Phone Shield. It seems that the product works identically to the body shield. The only real difference is that it has an adhesive back so that you can stick it the back of your cell phone, tablet, laptop, or other devices. Just like the body shield, the cell phone shield seems simple enough to use. It’s just a thin (.1 inch) sticker essentially that you just apply to the back of your electronics and then forget about. It offers the same protections through the same means as the body shield and many of the other Hedron products. This is another product that people seem to absolutely love. It’s a simple, attractive pendant that is lightweight and easy to wear. It comes on a silk cord that feels nice on the neck and looks really good with the pendant. The necklace itself seems to essentially be the shungite, crystals, and minerals inside of a resin. There is a silicone seal that goes around the outside of the pendant to help waterproof it and improve the life of the pendant. I don’t want to go in-depth into these products for this review, mostly because I haven’t been able to try them myself. However, if you’re interested you’re welcome to check out Hedron’s website for more information. Overall I think Hedron Life Source makes some quality products. One of the things that I really appreciate about the company is the amount of time and money they have spent on research and development. There are so many new products to the EMF protection market that are just trying to make a quick buck. These types of products have no science and no research, and in my opinion, can’t be trusted. I’ll continue testing out Hedron’s products and will update this post as I learn more. I hope you found this article helpful, if you did, let me know in the comments below! Thanks for having tested the Hedron harmonizers with several EMF testing devices. Now that I know that there is a difference in the measurement result, I do not have to do these tests over. Always looking for protective solutions.